Samsung Gear S3 owners can expect a new software update today, which sports more than a couple of tweaks. The Tizen version 4 update makes improvements to Samsung Health. The watch now supports various indoor and back-to-back workouts. The health widget also gives the user sleep stages information. The S3 update adds two advanced modes, theatre and sleep, which acts like a mute button, silencing any notifications during a set time and place. Messaging has also been improved. Draft messages can now be saved, MMS images now appear in the notification cover view and animated images are played automatically. Over 1,000 emojis are now supported as well. Other major updates include the music and call functionality. You can now change different music sources on the watch itself rather than using the phone. 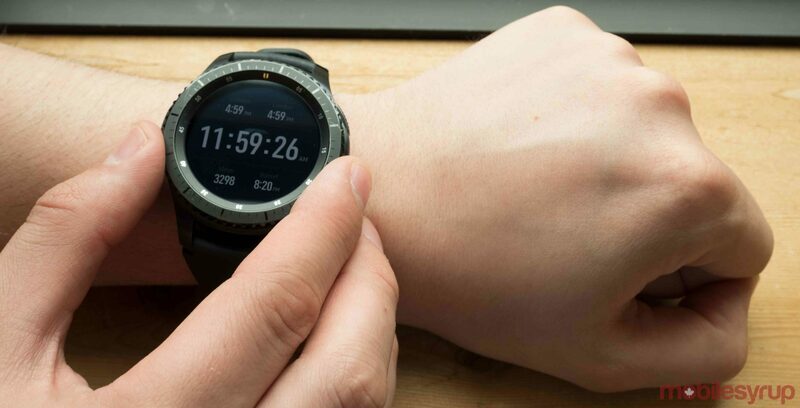 Further, if you’re on a call, you can navigate through other screens or apps on your watch without any interruptions. The smaller additions to the Tizen v4 update include newly added quick settings and better organized menus in settings. If you’re interested in the S3, you can check out our review of the Samsung S3 Frontier here.